Good way to protect your hands. I need to pamper my hands with these. 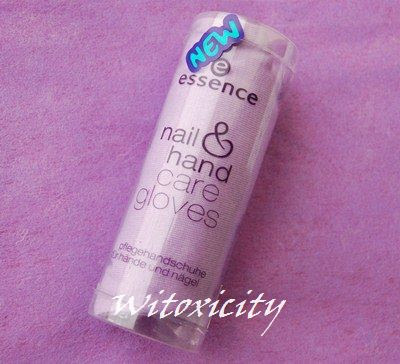 Essence always have so cool products! I'm curious, will the hand cream not be absorbed by the glove? Hi! 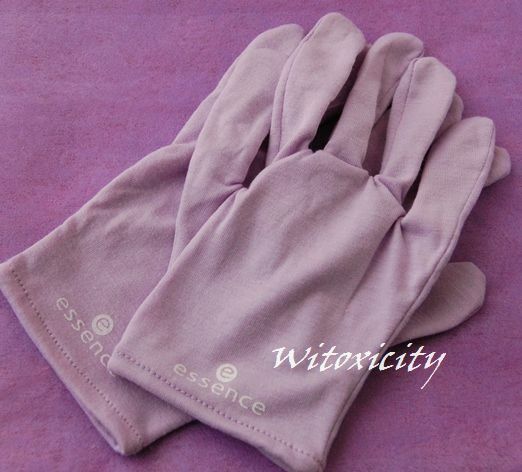 For some time now I was thinking about buying these pair of gloves from essence, but they are leaving the range, so now I have to wait for the new products of spring, because I have seen that the gloves will come back under the studio nails section of essence. However, I'm still sceptical. I always thought that the textile of the product would absorb more cream than my hands. Is this so? I might be mistaken, therefore I would love to hear some information about this, whether you noticed this or not. If not, then I will definitely try them out. And another question: you have to wash it out after every single aplication, or only after let's say 2-3 or more times? Thanks for your help, and sorry for the long comment! 1. I don't apply too thick a layer of cream/lotion. I put on just enough for it to be absorbed into the skin. In the case of products with beeswax, however, the skin would be left with a layer of wax, which would then transfer to the gloves. 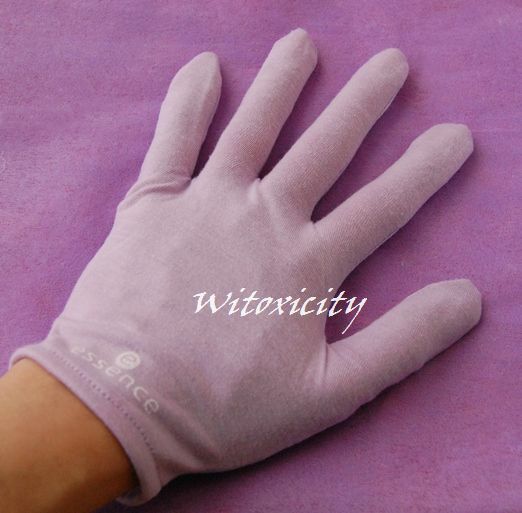 I usually wear these gloves when using hand cream/lotions and not balms with waxes. In any case, it's best to not apply such a thick layer. 2. After applying the hand cream/lotion, I would wait a minute or two before putting on the gloves. I'd like to give the cream/lotion time to sink into the skin first. As for washing, no, I don't wash the gloves after each wear. I always apply the cream/lotion on freshly washed hands anyway. I usually wash the gloves once a week (and I don't wear them every night). I was lucky, found one pair at a store :) Tried it twice but there were no significant changes, so I guess I still haven't found the right hand cream :/ My cuticles and the skin around my nails are always dry, and I have a bad habit of scratching them, producing nice little wounds (gross, I know...). I thought, with hydration I would be able to get rid of this habit. Do you have any tips, and/or products for extra-hydration of cuticles and the skin around the nails? Hello, Panka! I hope you've been well. I've been travelling, hence this late reply. :) Hey, great that you managed to get your hands on a pair! Hmmm, it sounds like you've got quite major issues with dry cuticles/skin. First of all, please please please stop picking at the skin there (it's not gross, it's just.....ouch!). You know and I know that doing that won't make things any better. :) Secondly, the healing would take time, so improvements wouldn't necessarily be noticed after two applications/wear. Given the situation that you've described, you would need to be patient. And diligent. And be able to resist fiddling with the dry areas. Hi! It's better now, I'm trying not to eat my skin up :) None of the hand creams worked for me, but I have found a very cheap marigold/calendula cream, which is very rich and thick, therefore I only apply it at night with gloves. It works so far, it is a "melkfett", the cream is made by a german brand, I guess, it's milkfat in English. 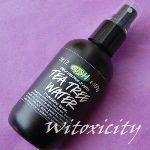 It's also good for eczema and extremely dry skin. I really hope that this cream will work in the long run against dry hands.